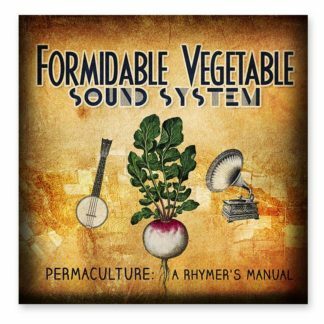 Formidable Vegetable Sound System is on a mission to save the world with a ukulele, some fresh beets and their favourite recipes for sustainability. 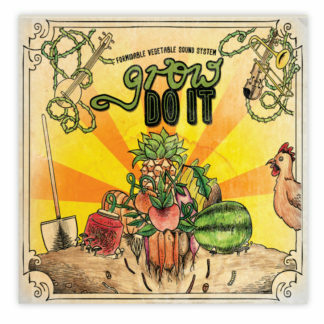 Their new album Grow Do It is for funky kids who want to learn how to be eco-superheroes and keep themselves healthy and positive in their daily life. 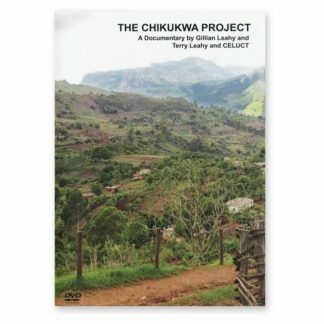 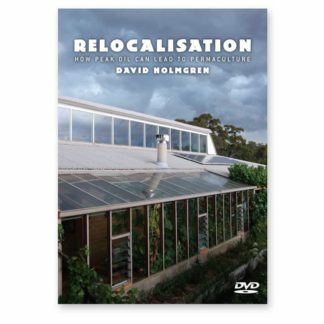 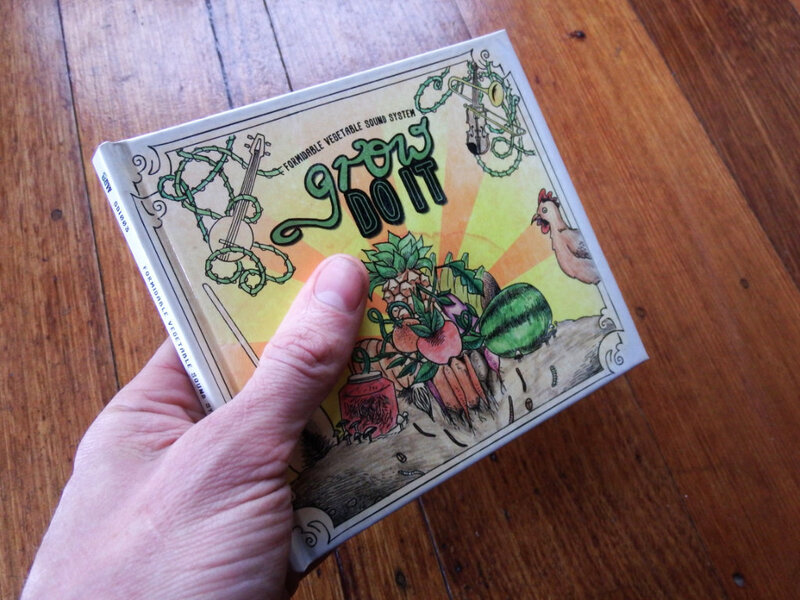 Available as a hard-cover CD/storybook or digitally as a download. 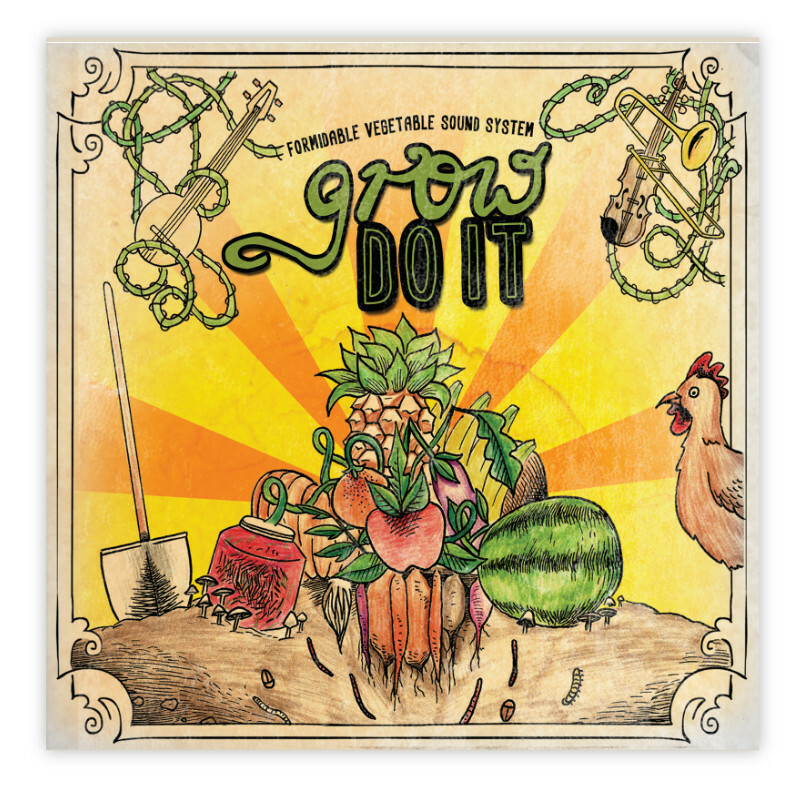 Grow Do It on CD in a beautifully presented hard-cover that is essentially set out like a childrens’ book. 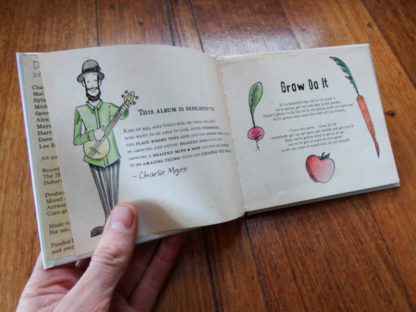 The hand-drawn illustrations by Oz Thomas are in fantastic storybook style with things to do corresponding to each track. 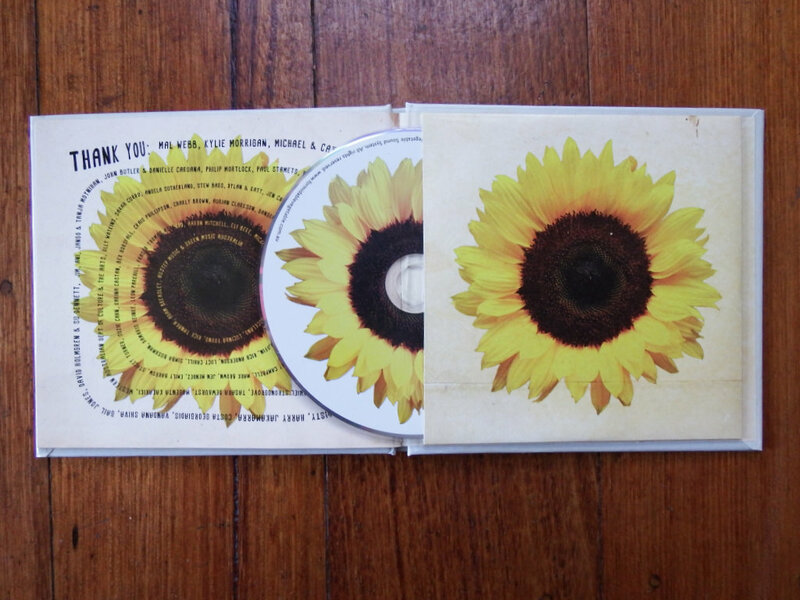 With a mind-blowingly talented all-star cast featuring trombone, trumpet and a bass guitar made out of a pumpkin from Mal Webb, biodynamic drum-breaks from Michael Barker (John Butler Trio/The Black Sorrows), chicken-pickin’ guitar licks from Alex Burkoy (Tinpan Orange/The Cat Empire) swingin’ voilin from Kylie Morrigan (Stevie Wonder/Barry White/Led Zeppelin) and the ukulele spaghetti-squash & smoky paprika voice of Charlie Mgee, the collective have been propagating, pollinating and pot-roasting their second album for nearly a year with the help of Melbourne electronic producer, Spoonbill (Opiuo/DubFX). 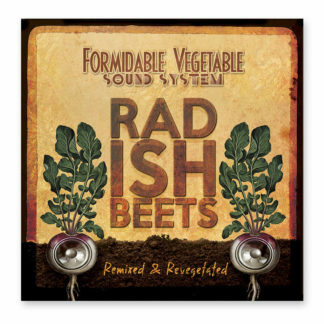 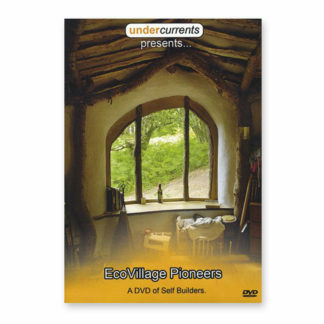 Having performed everywhere from Glastonbury Festival to the local farmer’s markets Formidable Vegetable Sound System are no strangers to rocking crowds of all ages with meaningfully hilarious songs about sustainable living, health & well-being for the future ahead.